Attracted to the entertainment world since she was a child, Amanda Fuller has spent most of her life chasing dreams. Making those dreams a reality, she has built a diverse résumé in film and television, all while bringing equally strong, unique performances each time out. 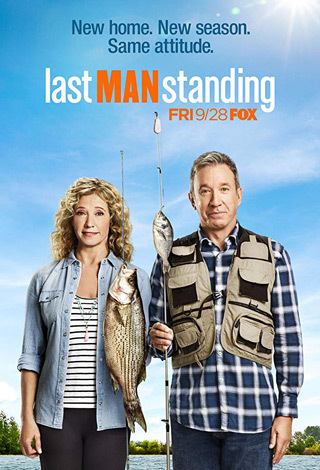 Well known for her portrayal of Kristin Baxter on the hit sitcom Last Man Standing for six seasons, Fuller has relished in the role, giving it color and life. 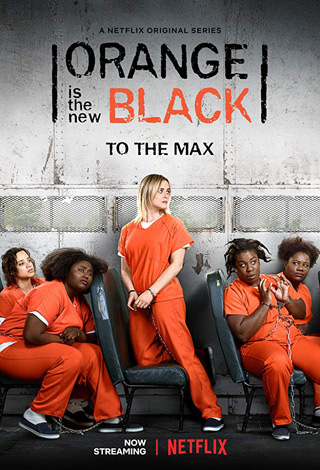 Proving her skills are not limited, she has also taken on roles in various genres of film, and more recently, a role in the popular Netflix series Orange Is the New Black. Partially enjoying the art of storytelling, she has relished in the ability to play different characters and in the new film All the Creatures Were Stirring she gets to dive into three of them! 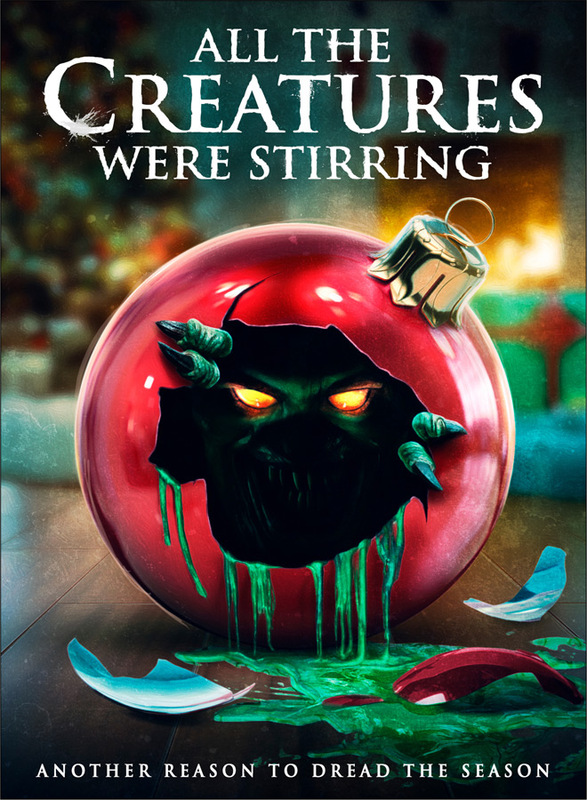 Set for release on DVD, On Demand, and Digital Video as of Tuesday, December 4, 2018, the Christmas themed film should be on every Horror fan’s wish list. Taking the time to talk about it, Fuller sat down to tell about her experience with All the Creatures Were Stirring, an undying passion for acting, the success of Last Man Standing, plus more. Cryptic Rock – You have been involved in film and television for over two decades now starring in a list of films as well as television series along the way. First, briefly tell us, what inspired you to pursue a career as an actress? Amanda Fuller – I think I was born with it in me. Ever since I could remember, I wanted to be on stage, perform, and tell stories. When I was three I was in theater, doing dance – I was a total ham and a very precocious child. (Laughs) I organically felt like I was at home when I was on set and I always wanted to be there. It was kind of a selfish, instinctual desire growing up. Of course I loved the craft, dissecting human nature, and the collaboration of the world of how you make films and TV. You create families wherever you go and that is always where I wanted to be at all times. 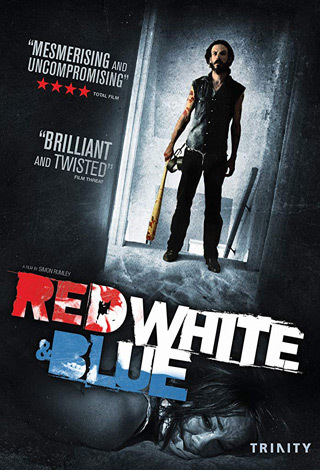 Somewhere around doing Red, White, & Blue (2010), the experience of that film and the impact it had, I realized this career choice could be much more purposeful. I realized what type of impact it could have to tell stories that really matter. To tell stories that are provocative, to get people to think and feel things that really don’t want to or that are not on the surface. Then it kind of changed for me, it became a much more intentional need. I still want to work and do whatever I can at all times, but I try to make the projects I do mean something. That is what has kept me in it for so long, even though it is a pretty gnarly business. I feel like I have a commitment to it now that I don’t think I will ever be willing to let go of. Cryptic Rock – You certainly have done a lot. Of your many credits, you have a diverse mix of things from Horror to Comedy, to Drama. How important is that diversity to you? Amanda Fuller – It’s so important. I would probably be happy just doing anything, I just love doing it so much. (Laughs) In regards to diversity, I have always felt like more of a character actor. I’ve always really enjoyed dissecting and getting into unique, individual souls and fleshing them out. I think that allows itself more when you have a diversity of projects. I think it is also more fun and I think you grow more because you’re pushing yourself in all kinds of different directions. I think it keeps you on point. It’s also selfishly really fun to be able to jump around from genres. That is a part of what storytelling is and I love it! Cryptic Rock – It has to be fun to work in various genres. Speaking of starring in Horror films, one of your most recent works is a role in the Christmas Horror flick All the Creatures Were Stirring. How did this role come about for you? I love working with them and I trust their quality of work. They have an extensive well of knowledge with Horror. They are so committed and connected to the genre – I think anything they would come up with would be really awesome! I was just happy they asked me, and we found some time to do it, so we did it! Here we are years later. We did it years ago, it’s kind of fun to be re-introduced to the project, it’s been a while. It’s pretty awesome to see it finally come together. Cryptic Rock – It is great it has finally come together for an official release. The film is broken into shorts, and in your segment, you actually play three different roles. What was that like for you? Amanda Fuller – It’s an actor’s dream right? It’s so much fun! We did it over a course of a weekend. I had another job working on a sitcom Monday to Friday, so we worked around my and Jonathan Kite’s schedules. We showed up and spent the whole weekend playing these characters. We were just kind of Rebekah’s puppets I would say. She would tell us to do this or that, we did, and it was really fun. Amanda Fuller as Linda in All the Creatures Were Stirring. Cryptic Rock – It is a fun film to watch too. Your segment is a modern take on A Christmas Carol (1843). They are a good length as shorts, but keep you yearning for more. If David and Rebekah wanted to take your segment and make it a full-length, would you be interested? Amanda Fuller – I would be totally game! That sounds like a blast, sign me up! Cryptic Rock – That would be interesting to see. Obviously you enjoy working with David and Rebekah? 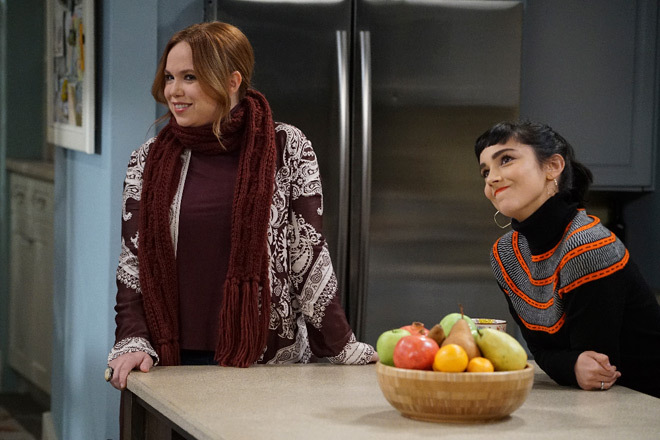 Amanda Fuller – Yea, that was one of the main reasons I signed on in the first place – I had such a great time working with them the first time. We are friends and all in the same kind of community. I just trusted them and knew no matter what, they would come up with something awesome and we would have a really great time doing it. At the end of the day, that is one of the best treats you can get in this business. I absolutely love working with them. I think they are incredibly smart and I can’t wait to see what they do next. I think this was a big milestone for them to put this thing together. Now that it is out, I think it turned out fantastic, and I can’t wait to see what they do next. Cryptic Rock – Yes, and the film is out now. It will be exciting to see what people think of it, especially for the holiday season. Amanda Fuller – Especially with genre fans. I was in New York last year at some point getting my hair done at some salon and someone working there came up to me and said, “I looked you up on IMDB and I have to ask, what is this Christmas Horror anthology?” I told him about it and said I don’t know if you will ever get to see it. I wish I had his info so I could let him know he could see it now. (Laughs) I think a lot of people would be really into what Dave and Rebekah created. Cryptic Rock – Agreed! 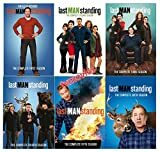 As mentioned, you have also done your share of television and perhaps your most recognized roles is that of Kristin in the hit series Last Man Standing. What has your time been like on the series? Amanda Fuller – The best! We have created our very close family. To get to go to work with them everyday and create these little mini stories within this world we have established is really a treat. We love each other, respect each other, and we have a lot of fun making it. I feel very lucky. It’s rare you get to be a part of a show that lasts that long in this business, especially nowadays. We don’t take it for granted. Everyday we make it count in somehow. Photo by Eric McCandless/ABC – © 2016 American Broadcasting Companies, Inc.
Cryptic Rock – Everyone in the cast does a wonderful job, the comedy is refreshingly daring, and the chemistry works well. That in mind, judging by the show’s success, how stunned was everyone was ABC decided to cancel it in 2017, and how redeeming to it return without a hiccup on Fox? Amanda Fuller – It was pretty devastating and shocking honestly. We thought we were going at least another season, maybe even two from what they were telling us before we drafted season six. Like you said, the ratings were stronger than ever, we were like their number two show. It was actually the first time in my career I wasn’t worried about getting picked up again, because it made sense business and money-wise to keep us on. The last episode we did, before they cancelled us, was one about kickboxing, so it definitely wasn’t a series finale of any sort. (Laughs) We were all pretty shocked and for a few months there was a lot of talk about another network picking it up. It was hard because we couldn’t get any closer, we were kind of strung along so to speak. After a few months, no one picked us up, so we thought, alright, I guess this is for sure. We all moved on and started working on other projects. It was very sad, but that is just how this business works sometimes, so you have to keep going. Then out of the blue this year Fox decided to bring us back. I didn’t believe it at first, I thought it was just more talk. Next thing you know, we were on set, we’re making it, and it feels like we never left. It’s kind of a crazy little roller coaster, but it worked out. I feel like the show’s better than ever. Maybe it was meant to be that we had a little bit of a longer break than we usually do because I feel like this season could be the best we’ve had. We’re very lucky. Cryptic Rock – Yes, and the show also made history by being picked up by another network like that. That is not something that really happens that often at all. It really is a great thing. Amanda Fuller – I think so. I think it setting kind of precedent in shows. A lot of shows are doing similar things now. It’s really cool for a series that maybe doesn’t get the longevity that it deserves. Now there are different opportunities for that to happen. I think that’s really nice that it’s happening now. Cryptic Rock – Absolutely! Last question. If you are a fan of the Horror and the Sci-Fi genre, do you have any favorites? Amanda Fuller – That’s the worst question ever! (Laughs) I am a fan, I love genre films. I don’t have a favorite. 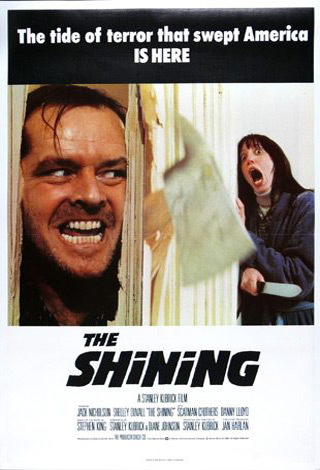 The Shining (1980) will always be up there, so is The Exorcist (1973), so is 2001: A Space Odyssey (1968). 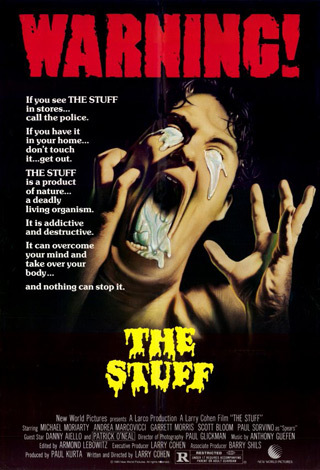 The Stuff (1985) is a random favorite. (Laughs) There are so many great genre films, I think it’s impossible me to pick my favorites. I love most of them.